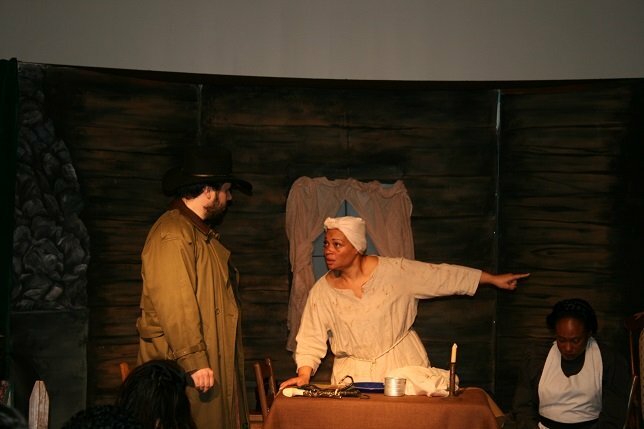 In honor of Black History Month Long Islanders can truly celebrate the meaning of freedom with WMHO’s acclaimed Running Scared, Running Free: Escape to the Promised Land. Running Scared, Running Free: Escape to the Promised Land performances run February 1-29 at WMHO's Educational & Cultural Center. Stony Brook, NY - January 8, 2016 - In honor of Black History Month Long Islanders can truly celebrate the meaning of freedom with WMHO’s acclaimed Running Scared, Running Free: Escape to the Promised Land. These riveting live theatrical performances, held over 150 years after the signing of the Emancipation Proclamation, will be a poignant experience about the power of the human spirit and Long Island’s connection to the Underground Railroad. Sponsored by Empire National Bank, Running Scared, Running Free is an interactive production based on investigative research compiled by The Ward Melville Heritage Organization and was attended by over 7,000 young people and adults when it first opened in 2005. Oral histories shared by Native Americans inspired WMHO to research the movement of escaping slaves from the south to Long Island and north to Canada. A St. George Production, the drama is set in the mid-1850s and is told through the eyes of “Dorcas,” a female slave fleeing South Carolina. The production shows how Native Americans, Quakers, free blacks and abolitionists assisted in the Underground Railroad through the fascinating use of secret codes in quilt patterns as a vital means of communication. It is estimated that at least 30,000 slaves, and potentially more than 100,000, escaped to Canada via the Underground Railroad. Performances will take place on selected dates between February 1 – 29 at WMHO’s Educational & Cultural Center, 97P Main Street in Stony Brook Village at 10 am and Noon. There is also a special evening performance February 26 at 7:30 pm with dessert and coffee or tea at the general admission price. Additional pricing is below. The program is aligned to meet National and New York State Common Core Standards and BOCES Arts-in-Education reimbursable. For further information call 631-751-2244 or visit wmho.org. Subject: LongIsland.com - Your Name sent you Article details of "Back by Popular Demand for Black History Month -- Running Scared, Running Free: Escape to the Promised Land"